Vector abstract big data visualization. 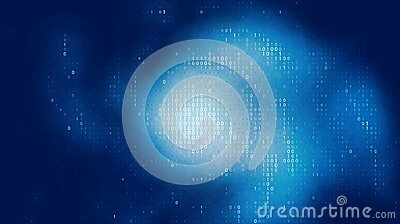 Blue glowing data flow as binary numbers. Computer code representation. Cryptographic analysis, hacking. Bitcoin, blockchain transfer. Pattern of program code.